not want to be in debt unnecessarily, if even at all. women respectfully as Goddesses, and most importantly, to be free. be with me only until their Father decided to take care of his addictions. great and I am very proud of it. off…not knowing when and where we would meet again. polite…to know that the World is really a safe place. worked out, and really enjoying the rest. For me it’s Paradise. to earn a living doing what I love and in the most miraculous ways. when you are pedaling for 4-5 hours a day there is alot of thinking time. a new and future Homestead. 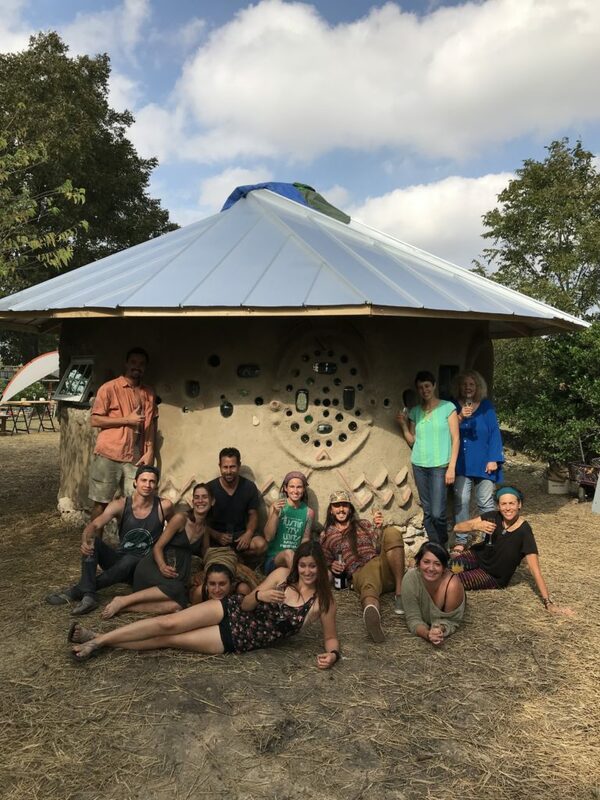 Today, 4 years later, my Journey is complete and I am ready to birth a unique Ecovillage in a sweet part of the world. support and enhance this project. (Argentina) and teach a 6-week workshop in Chile on my student’s land. Free to be yourself always and have a BLAST in this Lifetime! Ho! I had a feeling this workshop would be the one that would reach my personal goal of truly completing the whole building right to the roof covering. It is the third month-long cob workshop I have led and for factors that I managed to control this time, the previous two did not attain the roof completion. I am learning to stay strict about building size relative to number of students and strict about the schedule. I think I am also learning to support the students mentally and physically in maximizing their potential.. I still realize that whatever number I declare to be the daily individual goal for cob batches, people rarely attain that consistently. The lesson this time was that as I lowered the daily goal to 3, the lowest yet, people lowered their output. If I had declared it to be 6 batches, everyone would easily be making 3 batches a day. At 3, there were many 1 batch days for a number of students. 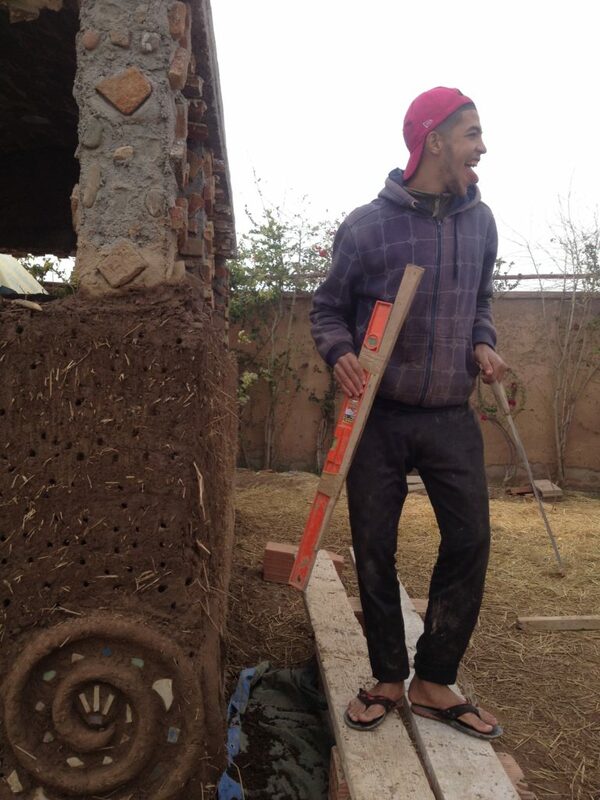 My intention in the cob workshops I teach is to have students experience the intensity of effort it takes to complete a cob building in a reasonable time frame. Most cob projects I have heard about take an excessively long time to complete because it’s hard work and not systematized or consistent. On the job sites I have had, the only way we can advance effectively is to have systems of concentrated production, multi-tasking with trimming, and of course having all the inserted materials prepped and ready when needed. Same for the workshops. When talking with other teachers or students who have taken other workshops, what I hear is that a full building is never completed. I know that students really want this experience and when they accomplish benchmarks like finishing the wall, there is such an ecstatic bliss that sets in, along with fulfillment, pride and confidence, that I know I am doing the right thing. The Texas workshop students had a phenomenal synergy. There was the youthful crew that worked hard and played hard, every night, and weekends…and then the others that paced their energy with early bedtime and restful weekends. Nonetheless the closeness and joy of the whole group grew quickly from Day 1 until the difficult goodbyes one month later. The deep bond that was formed in the creation of this beautiful sculpted cob studio is irreparable and eternal. Each student has gained the knowledge and ability to do the same when they return home or wherever they are. For this reason, the Complete Cob Workshops will become CruzinCobGlobal’s standard offering 4 times a year, all over the world. It is this type of workshop that will produce confident and able Cobbers, ready to be assistant teachers and ready to build cob projects. Congratulations to the new class of Advanced Cobber graduates! Well done! from dependency on the system for the one thing that can enslave us the most: our own shelter, an inalienable right according to the Declaration of Independence of the USA. Freedom to use their time and energy to do what they love, follow their Heart’s calling, explore, learn and just lie on the grass looking up at the sky and daydreaming about whatever comes up!!! We need more free unstructured time in our lives to be the creators we were born to be, the intentional actors in our stories, which comes with less financial pressure which, in the West and more of the rest of the world than ever, comes with no monthly mortgage or rent payments. Right? 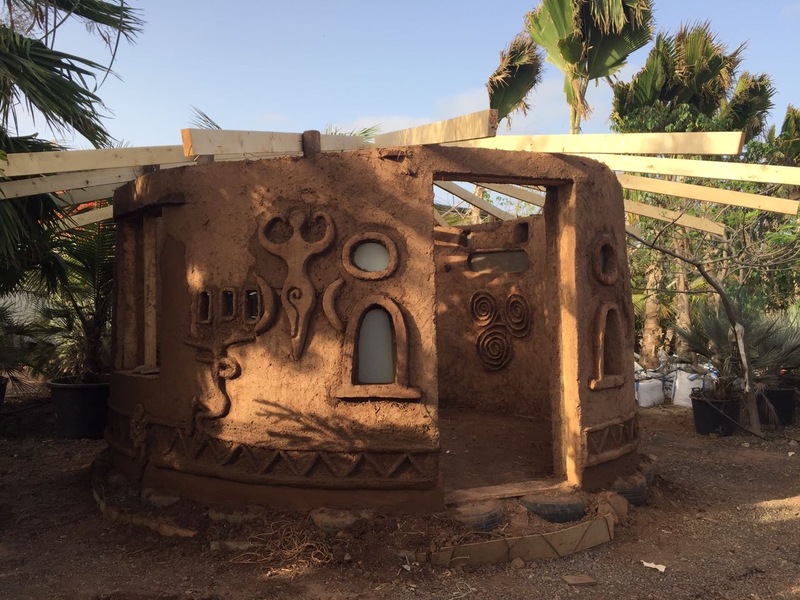 The glee on people’s faces when they see the cob building begin to look like a home, with plaster on beautiful sculptures, the roof structure going on, the finished floor being poured…and the excitement they exude about going “home” to build right away….are my Soulfood. As the time draws near for this global cob journey to wind down (Summer of 2018), I will continue to grow CruzinCobGlobal’s reach and impact with an inspired and energetic team of committed assistants and future teachers from all over the world. 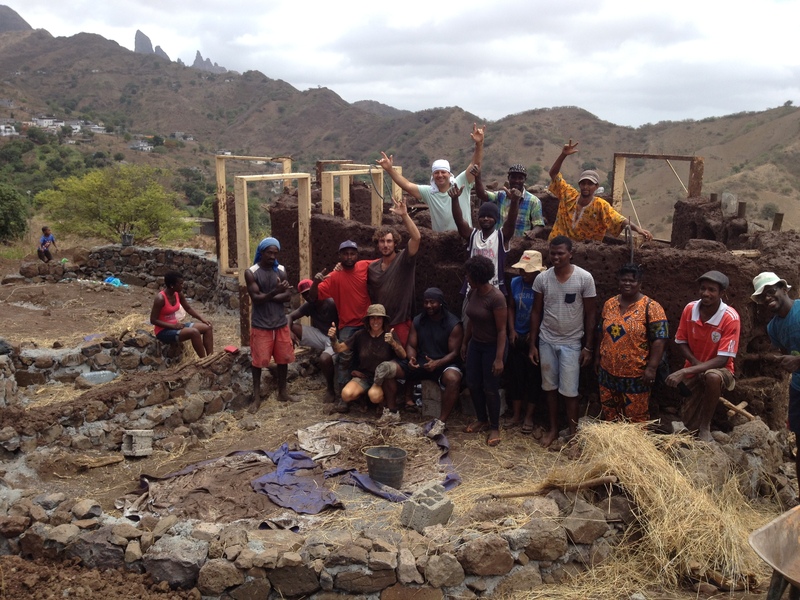 Who can resist a life making your income by teaching Cob Building all over the world? I need teachers who can speak all the languages required to hold workshops everywhere. I have demand coming from every continent. Seriously! Give me Spanish speakers, Portuguese speakers, Romanian speakers, Wolof speakers, Arabic speakers, Norwegian speakers, Russian speakers, Hindi speakers, Chinese speakers….and let me train them! I am doing my best to make the workshops a win win win and affordable to all who want to come. Next year I will begin collaborating with sponsors for the interested students who cannot make a financial contribution or need assistance. 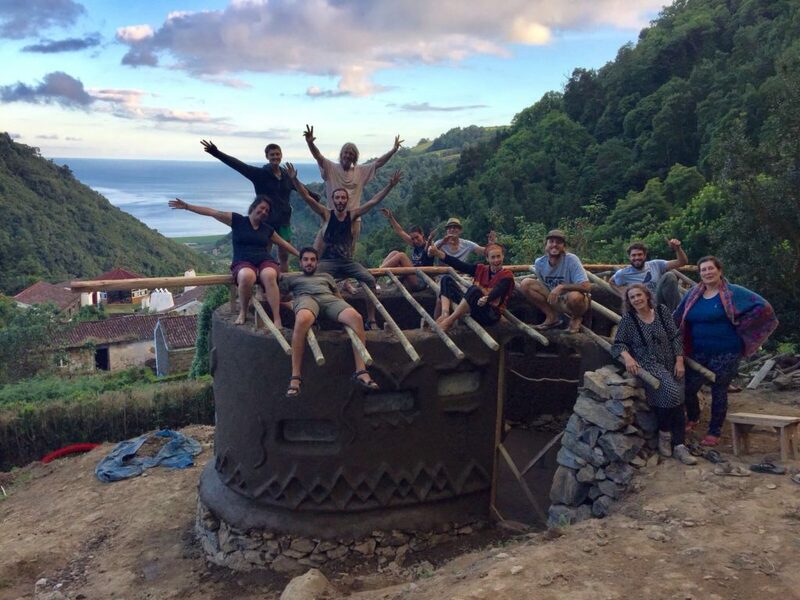 This Spring 2018 I will celebrate my 54th revolution around the sun in Bahia, Brazil with my 1st workshop in South America, a one-month Complete Cob Build in which we will be staying in a brand new Ecovillage and building their first communal building out of cob….the hearth, the kitchen, the food love space! 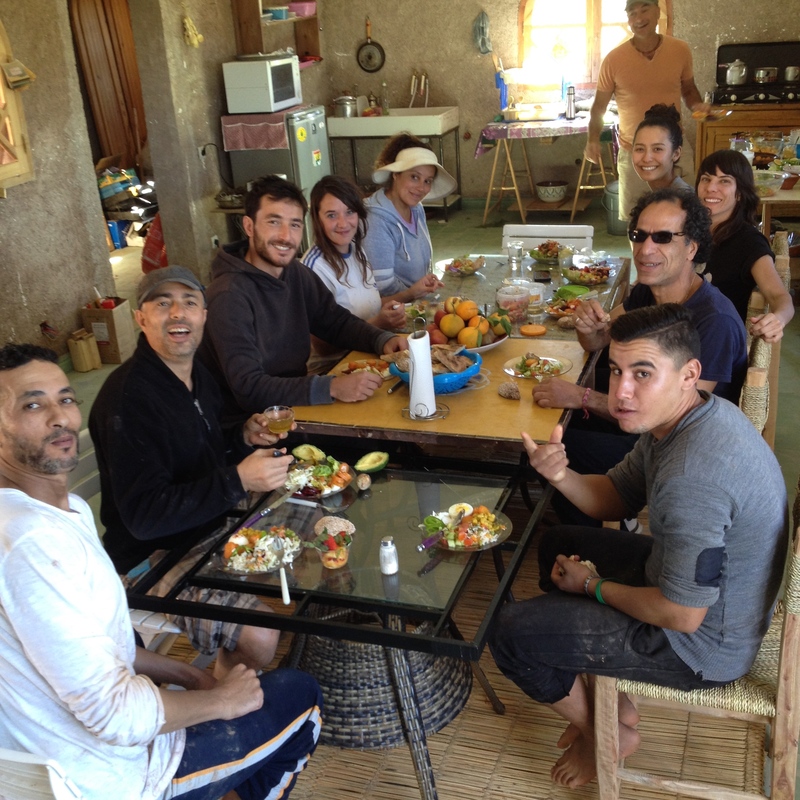 The Ecovillage is only a few miles from the beach and situated in a protected national forest on a river. I cannot wait to see this place and Brazil after 30 years! Save the dates: March 17th to April 15th, 2018!!! Until then my friends we have an Oven Workshop in Santa Cruz and a Complete Cob Workshop in Texas as the grand finales for 2017. Is it time for you yet to join the action? Morocco is where my mother was born and raised. 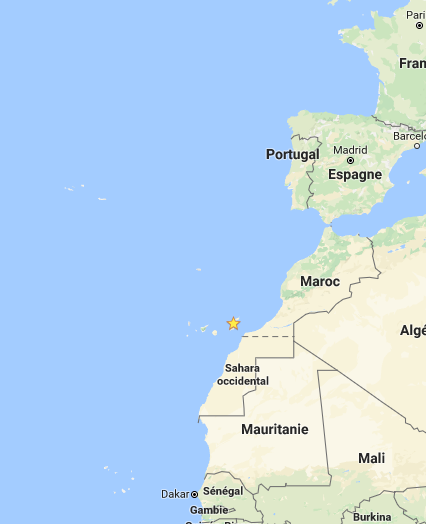 It is between Spain and Senegal, and east of the Canaries and northeast of Cabo Verde. 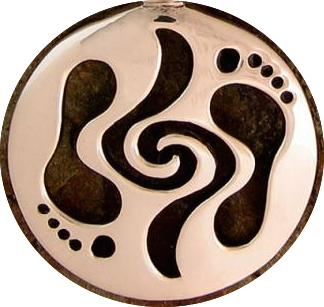 Two years after beginning the Global CobTrotter Journey, I am completing full circle. Actually 3 full circles. Spain to the Canaries to Cabo Verde to Senegal to Cabo Verde to the Canaries to Spain to Portugal to Senegal to Cabo Verde to France to Portugal to Spain to Morocco. Fitting that I finish this triple circle in the middle and in my mother’s homeland. She is now 77 and after 40 years in NYC has moved back to the neighborhood of her youth, with her friends of her youth. While NYC is my hometown, I have been introduced to Morocco on many occasions but never have I introduced COB to Morocco. Once again, I find an ancient earth-building culture that, like all the others, has strayed from its roots replacing them with inefficient, ugly and expensive concrete blocks. Our workshop was in the countryside which allowed us to experience more of the roots of traditional building techniques. 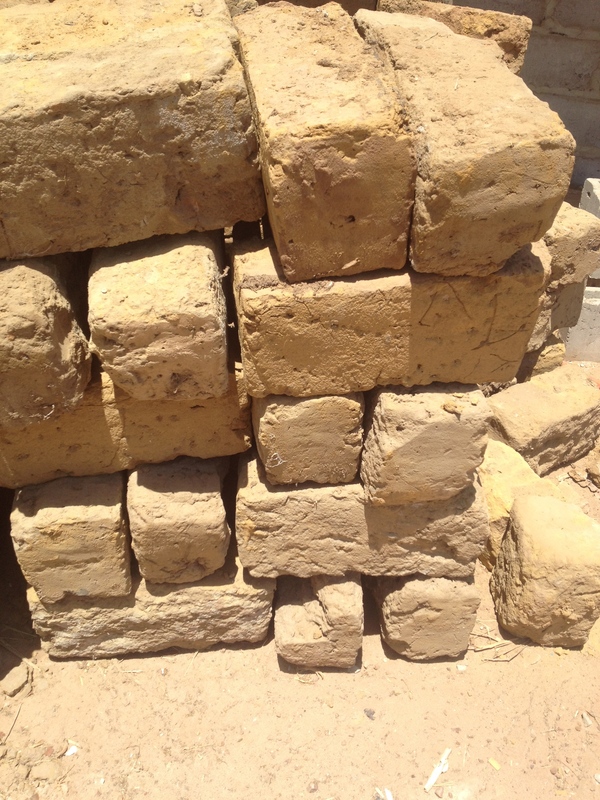 There is a form of cob walls with no straw or fiber, and there are adobe blocks, also with no fiber. 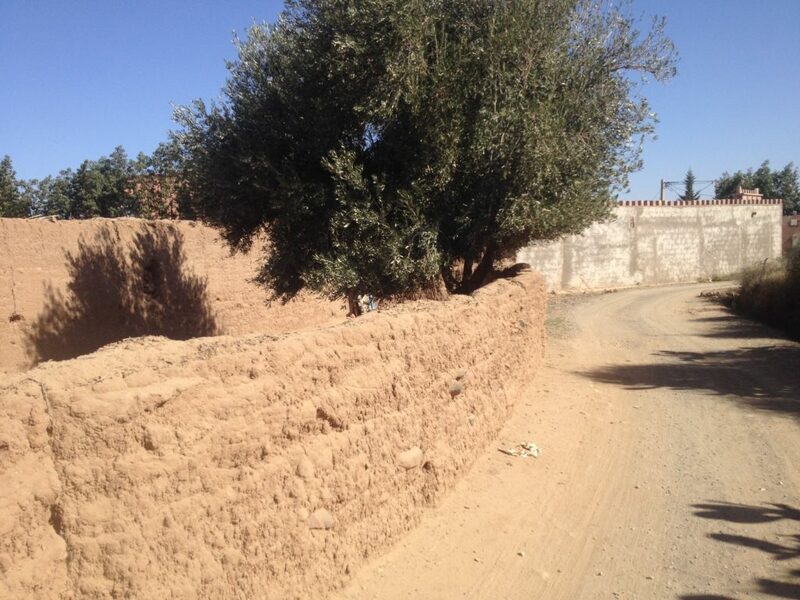 Because of the minimal rainfall and the rich red clay content, these walls endure. However upon examination of a shake test of one of the very old (300 years?) walls that stands as ruins outside Jamal’s doors, we found no coarse sand at all in the mix. As a matter of fact it was about 30% clay and 70% fine sand. The ratio was ok but such a mix would be very sticky and not structurally as sound as a coarse sand cob mix. As I learned from my teachers and I teach my students…Cob is forgiving. But is it even true Cob with no fiber? Naaaah. That would be weak adobe. Thus I had something to teach not only my American and European students , but my trio of Moroccan students, who will, hopefully, pass on the good deed to their friends who will show their friends, and so on. 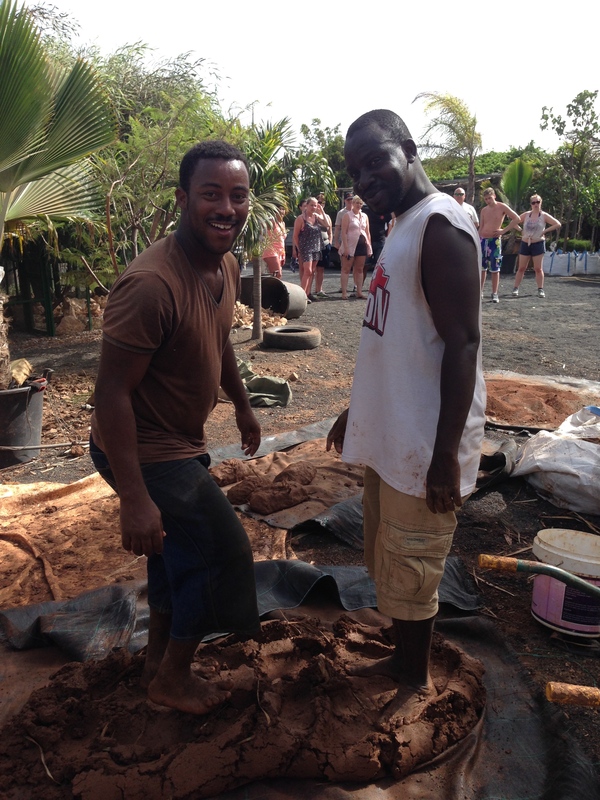 When they saw us mixing with our feet and getting all muddy, the Tadelakt (lime finish plaster) artisans would have nothing to do with us. Dressed pretty in their leather jackets and jelled hair, they watched from afar lest Jamal encourage them to join in. 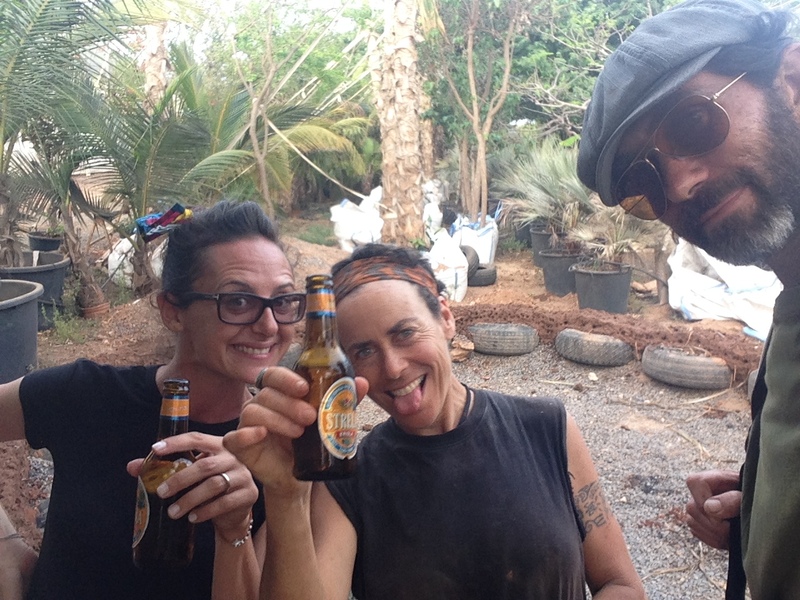 What is it about getting muddy and “dirt”y that is “lowly” in the eyes of non-Westerners? In Senegal it took a bit for the Senegalese to feel OK jumping in once they saw the white folk enjoying it. We, the new eco-generations, thrive on being one with the land, living in earth houses, eating mostly plants and ignoring plastic. Eventually the locals cannot resist as they see how much fun it is despite the hard work. With some rockin’ Islamic prayer tunes followed by peppy Michael Franti and Cabo Verdian-Japanese fusion, our bodies move easier and our collaboration is more fun. Once again a new family is born, the cob bonding with cob and bonding the humans, who came from the clay and become transformed in the clay. Artists and sculptors emerge in the last days, embellishing and personalizing the sweatily-built walls, bestowing life and unique beauty upon them. Satisfaction reigns when we stand back and look at our work. The plaster is the reward, smoothing and finishing the walls with horse poop for ultimate protection. We work together on the last day to give our Hammam as much as we can, taking away the skills to build one out of cob one day, and finish it with the age-old smooth-as-silk Moroccan lime finish cultivated right here in homemade lime kilns. 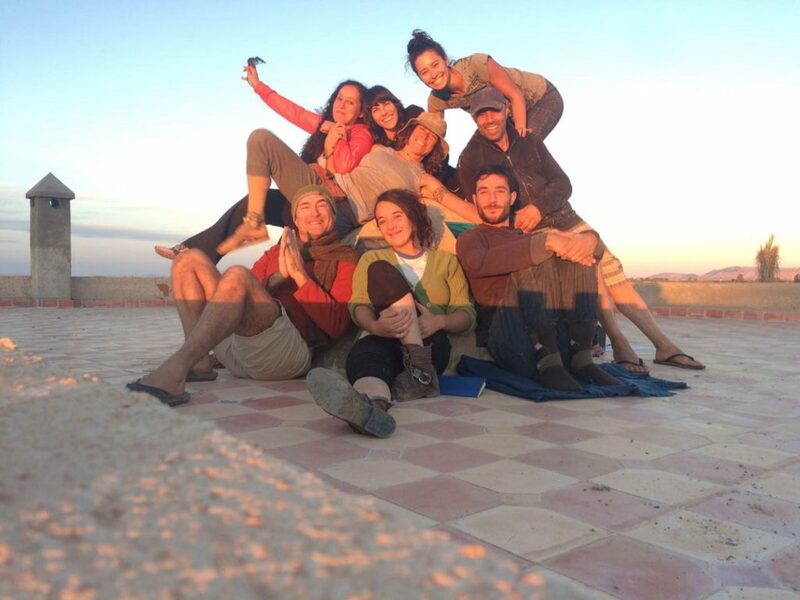 Amazing food, amazing people, amazing vistas and souks to get lost in….another wonderful experience! Shoukran!!! Time to Reflect After France…. Sitting here under a starry sky punctuated by my bright MacBook Air in total contrast to the peaceful cricket background hum and dark outline of the pine trees against the Pyreneean night. I have spent the whole day in a 36 round fut cob/straw hobbit hut complete with ochre sculpted fireplace and smoke pipe. I have spent 3 weeks sleeping in this humble natural home with no door, exposed to the spiders, ants and other flying bugs that make it their home too. Outside my hut is a 270 degree panorama of open field, lined with fir trees and farther off the Pyrenee foothills begin. The evening is a welcome relief from the searing 100+ degree days with no wind. I can sleep clotheless and comfortably at night without sweating or chilling. Perfect temperature. Today was Decompression Day after my 11th Cob Workshop since I started my World Bike Tour in December 2014. I am proud of myself for keeping at it and continuing to spread the good word and the good deed. Each workshop is a new adventure and has its own sets of challenges and new discoveries. Apart from the new soils and sands and straw or straw alternative to work with, I have new people, cultures, settings, climates, students, projects, etc. I am learning and growing and realizing, little by little, what it takes to make a good workshop while remaining open to the fact that I can’t control all the elements all the time. And getting to know my own personal preferences in terms of my needs as well. This last workshop was a smallish one with 5 lovely diverse students who worked very hard to complete a 12m2 structure in the 12 days we had. Always the hard work starts and breaks everyone in within a few days. 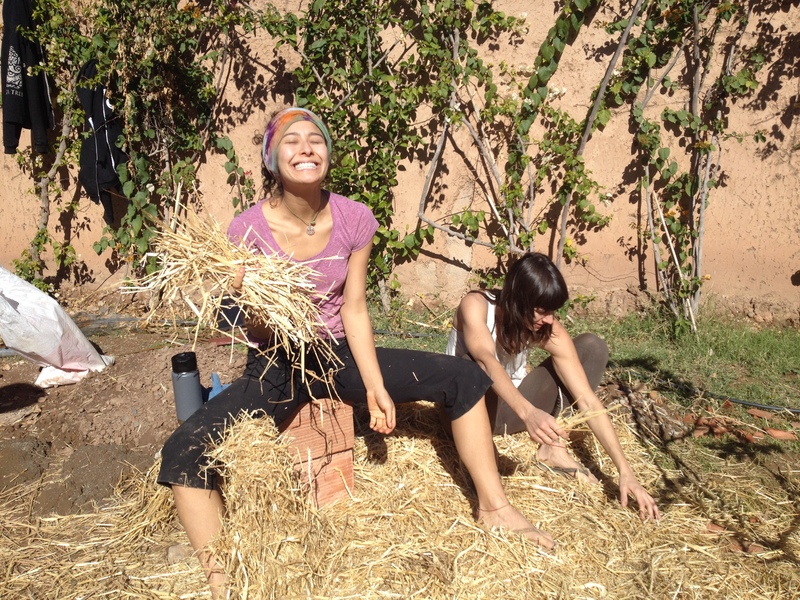 We find our groove and relax into the earth work. As the wall grows, people feel happy to see their work show up clearly before their eyes. The first 2-3 feet are always the hardest…straight cob around and around. We insert rocks for some reprieve from the endless mixes. This workshop I made a goal of 4 loaves per person per day. Even that was always a push. Maybe I should say 6 next time so 4 seems less overwhelming. There’s alot of mental effort as well in this work. I am learning that people need to feel ahead of the game. Satisfied with their days’ work. I am learning to have smaller goals. I tried to keep the structure small and once again the owners wanted bigger. Deals were made that were not maintained and once gain the push to complete the walls was on. It seems a part of me wants the students to have that great satisfaction of finishing the wall(s) and seeing the results of their hard work, and another part wants everyone to take it easy and have a good time. I am always between the Owners of the land and the students, trying to find a happy balance. However in alignment with my own driven personality, I tend towards encouraging the students to work hard to complete. 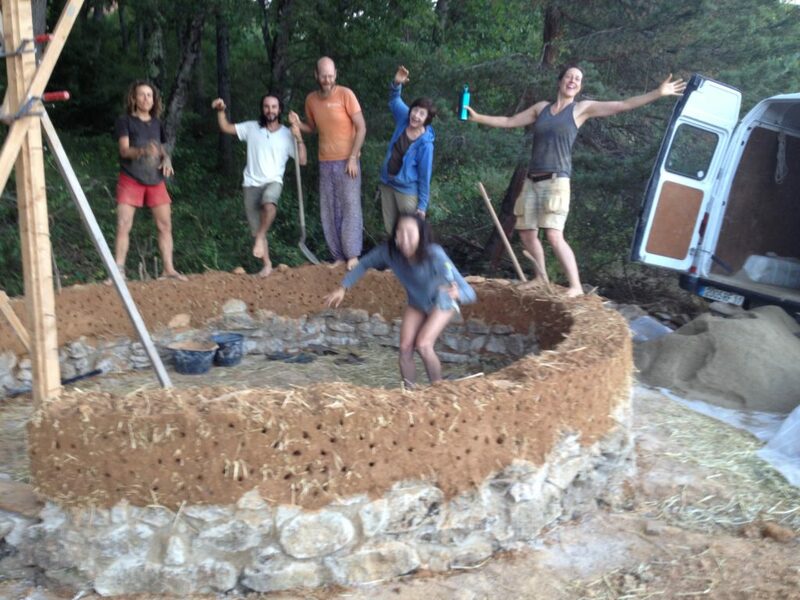 Another reason I prefer the goal of completion and its intense time frame, is that once COB BUILDING gets rollin’, especially with a group effort, it’s good to keep it rollin’. Earthwork is heavy and effortful and done communally it all goes much more easily. These are the points I want the students to experience: the physical work, the pace of actually getting the walls up, and the importance of bringing in a community to work together in a more productive and enjoyable flow. 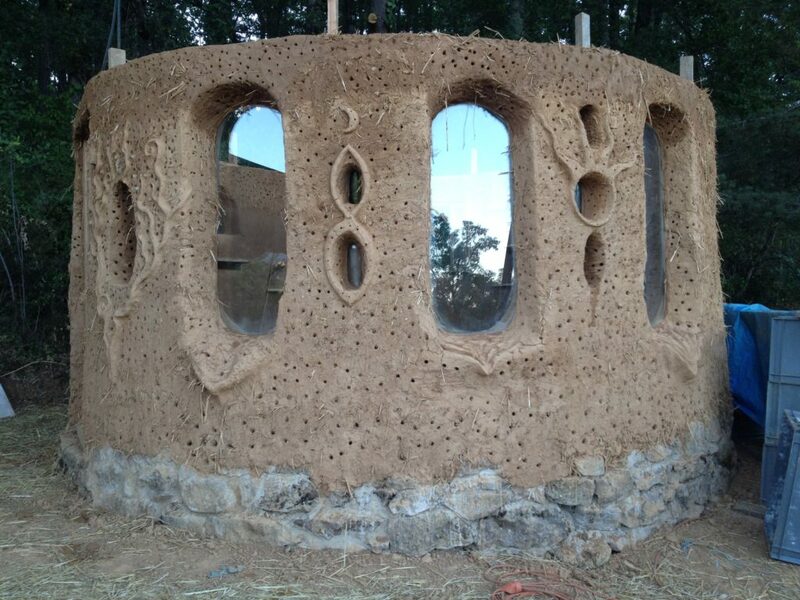 This is how a cob house can get erected in a “useful” timeframe. Working alone you’re looking at 4-10 times longer. For me it took 4 years. It becomes a long building meditation. And that’s fine if you have the time. But if you want to move in in, or if you are hired to build for someone, energy management is key. On the other hand students who pay to learn in one of our workshops also don’t want to feel like laborers. Thus it is important to have chunks of downtime, yoga, playing and other activities to nurture the energy for the building. So many things to fit in, and still have the solid fresh energy to make those mixes for a week or more. Each workshop gives me the opportunity to improve the experience, for myself, the client and the students. Yet there is always the unexpected, especially as one moves over the Planet into new realms. This is what I chose and why I chose it. I was yearning for NEW, SURPRISES, UNKNOWN, CHALLENGES. And with these I am growing myself, as graciously and gratefully as my 52 year-young self will allow me to. One day at a time. There is an ideal mission for CruzinCobGlobal. 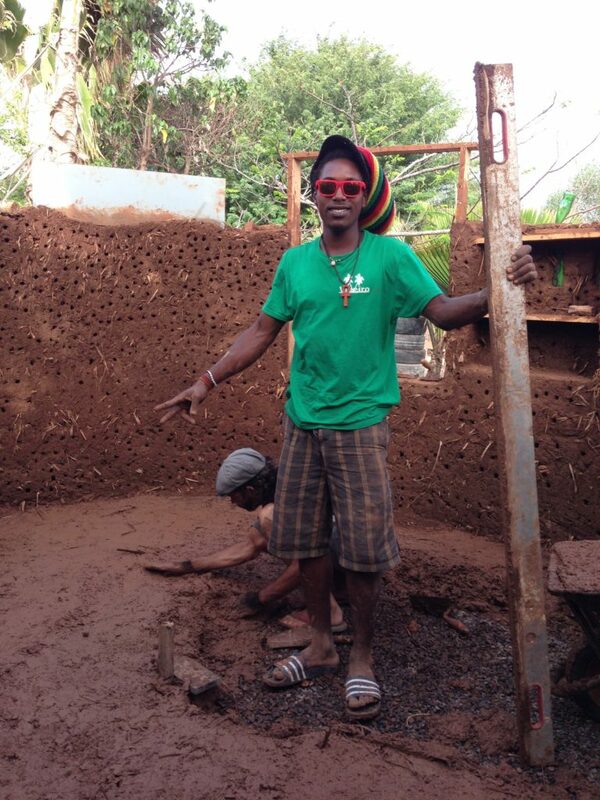 That mission is to effectively deliver the tools and knowledge of Cob building to people who need it. The workshop formula is a great way of achieving our goal. But it is always tricky realizing organization and coherence in our execution through different cultures. which is proportional to their understanding of the importance of natural building and its role in community integration and environmental consciousness. All these things and more were evident in Neiva when she approached Claudine just days after we finished our work in São Vicente. 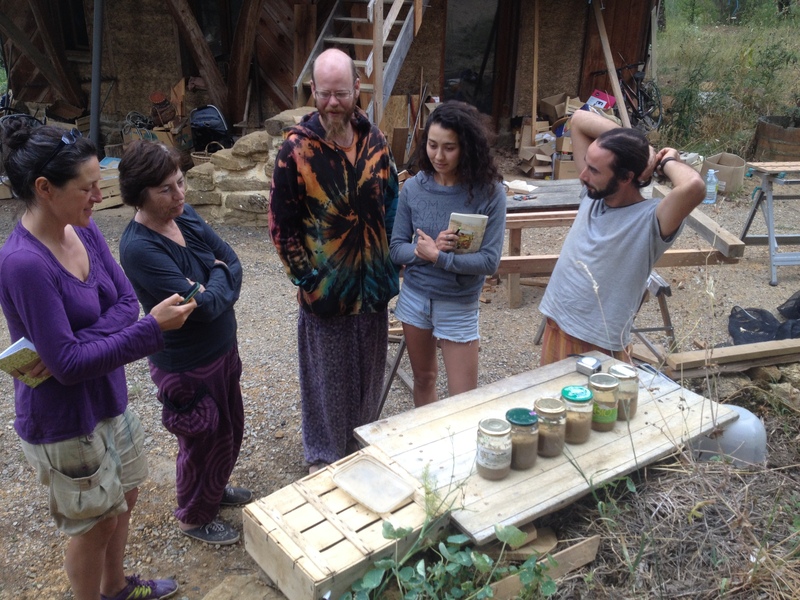 two weeks to present them with evidence that Cob building is a legitimate alternative to concrete and steel, and what she walked away with was word from local non-profit City Habitat agreeing to sponsor fifteen students to take our course. Fifteen young men and women, college educated and currently unemployed, who wanted to learn something they could expand on in their professional life. The students were architects, plumbers, electricians, masons, professors, government officials, shepherds, musicians and more—people that expressed interest in the alternative. start. It was foggy, we were up in the mountains. It was good cobbing weather. We starting using the very earth we was dug up to build the foundation. 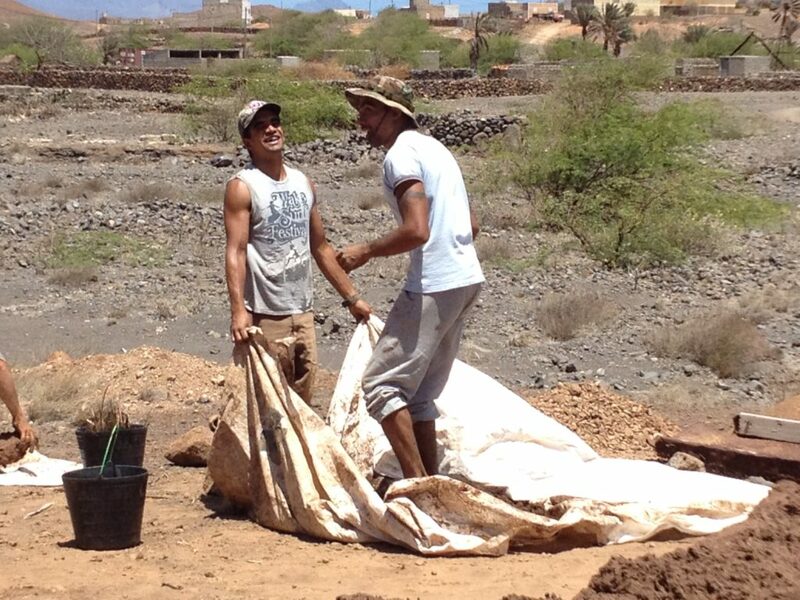 Two buckets of that, one bucket of sand and a handful of straw we had collected from up the mountain. People started taking their shoes off and feeling the mix on their feet. As always the smiles start appearing—people rolling up their pants and turning their hats backwards. People getting into it. The thing is, as the walls go up something sparks the imagination and we start to clearly see how we would use this medium of Cob. Now I’m on the hill overlooking the collaborative celebration that is a cob workshop and hearing everyone talk about what kind of house they would make. People debating whether or not Cob could be used in this or that setting. Wondering if salt water would work for people who live by the beach and don’t have abundant access to water for building. And as the weeks moves on these students, these young people, start coming back earlier and earlier because they are excited to see this house that they are creating come into fruition. It cannot be stressed enough how empowering of a feeling it is. But what was so refreshing about this particular workshop experience was that it really was the clear expression of CruzinCobGlobal’s goal. Here you have an organization that believes in the power of natural building enough to sponsor a group of budding professionals to build a model home in order to create a team to spread the practice throughout the land and into the future. Basically it feels like we’ve done our job very well. 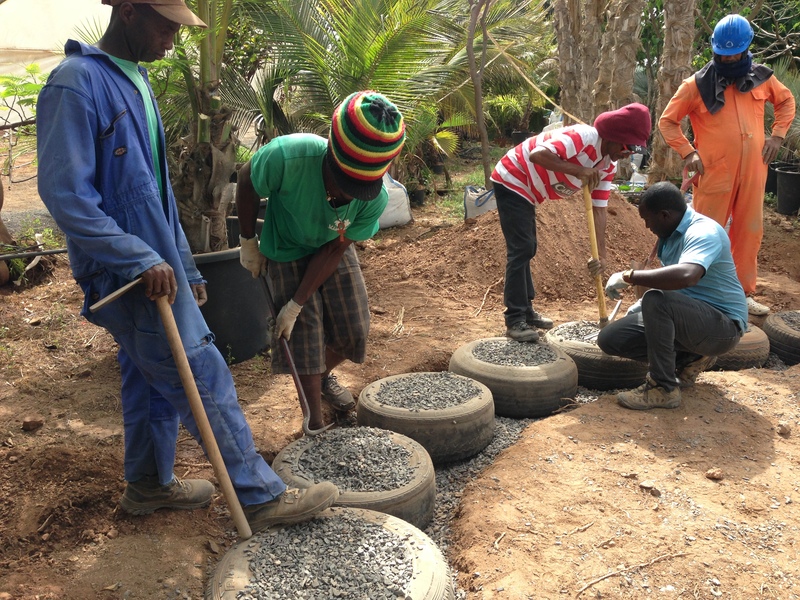 That we’ve helped plant the seed of sustainable construction in another community that might never have gotten it this straightforwardly, informally and easily. As I make my way into new countries and cultures, especially non-industrialized, non-Western (all these labels are kinda janky, as my kids say) lands I am always excited to discover how my introduction of Cob will be received. In Senegal, traditionally a mud house-building people, especially in the Southern Casamance region, our techniques were still of interest. There they don’t use straw in their mix and often use termite mound mix which barely has any clay in it and washes away with water. Some areas do have really good yellowish clay soils that may be akin to the red ready-mix of the Sierra Foothills. They mainly use block-making building style with forms. They certainy don’t take time to test as we have been taught and teach others. But heck, if it’s still standing after the rainy season then it’s a good mix. Here in Cabo Verde the tradition is rock with cob originally and now cement mortar. 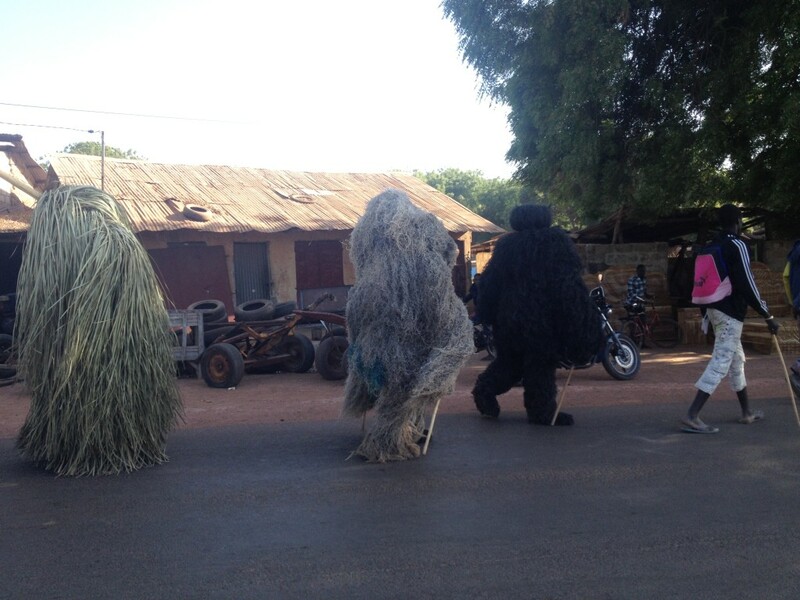 You only see them in the rural areas. It seems cob is faster and easier and cheaper though. 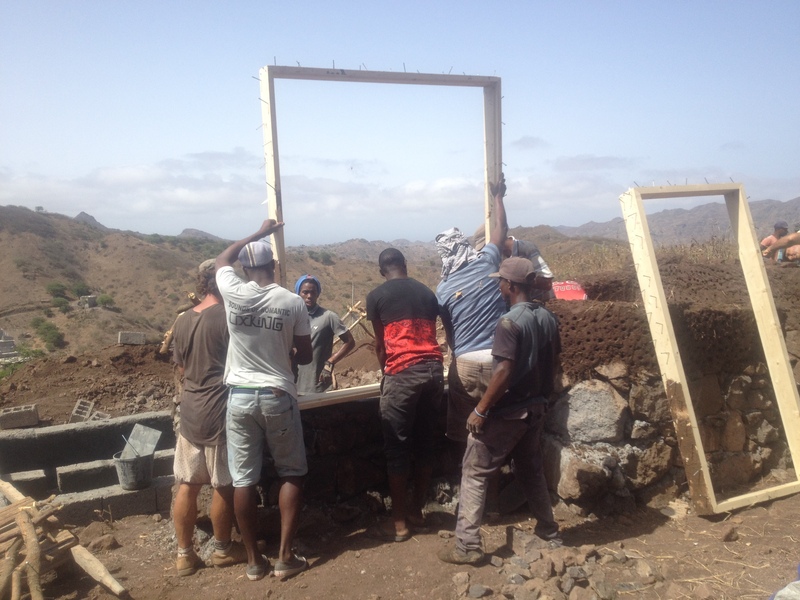 It took the “pedreiros” or “stoners” (heehee) 4 days to build a 12m2 foundation! Rocks are heavy and unless they’re right where you want to build, the transport is costly and demanding. closer to pick up on the fine details. They were excited. Everyone was… as they always are on Day 1. Come back on Day 5, 6 and 7 and see how excited everyone is! The “pedreiros” jumped in and began their dance with agile feet and a good rhythm. Everyone always has their unique steppin’-in-the-mud style but the Black Africans in Senegal definitely had a groove I’ve never seen that is somehow connected to their tribal dance steps. They twist their feet outwards and use their whole body weight at a nice clip. 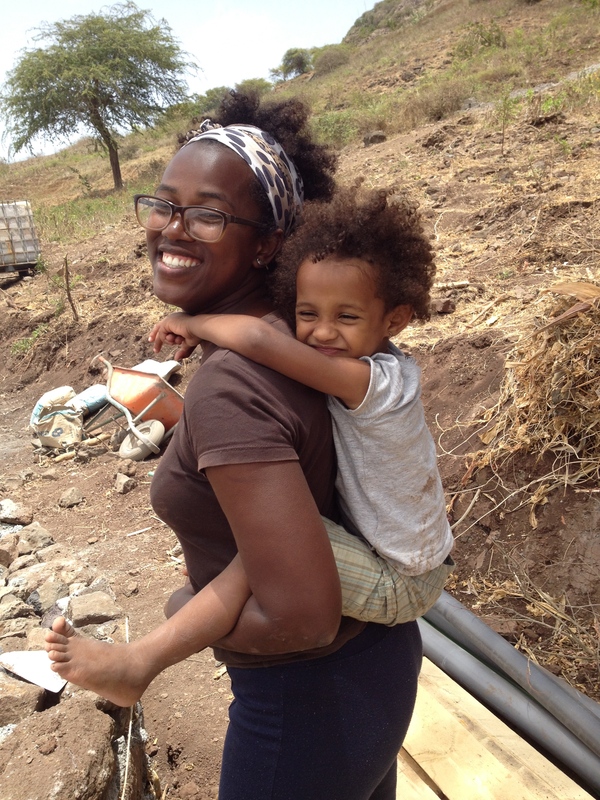 Here in Cabo Verde, not as African, there was a little less initial naturalness. As I said they are a rock land. technique for building that was clearly cheaper, natural, beautiful, local and sturdy. This part of the world is very set in their ways, we have learned. Things take a long time to come into effect. They got used to cement, didn’t they? We are moving forwards people….come along for the ride…. University professors, architects, engineers, contractors, the national TV, students and more neighbors all came by to see. 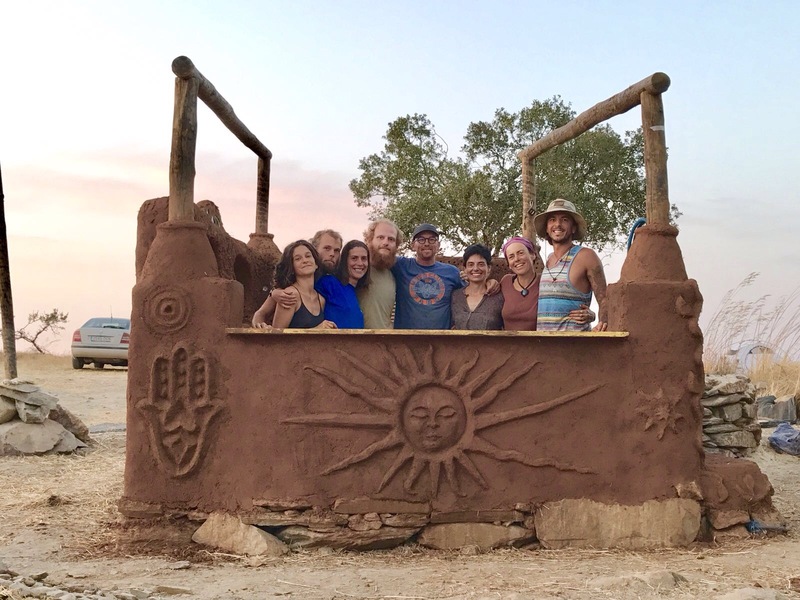 You can talk about COB all day long….but it’s when you take action and make it happen by letting people mix and build and feel and see the wall growing in their hands that the magic of awakening and revolution begins to happen, one mix, one cob loaf, one builder, one cob family at a time. The auburn green-roofed12m2 room we built is now visible on the horizon to every passing vehicle on the road. Its unique shape and natural colors draw the eye and attention. 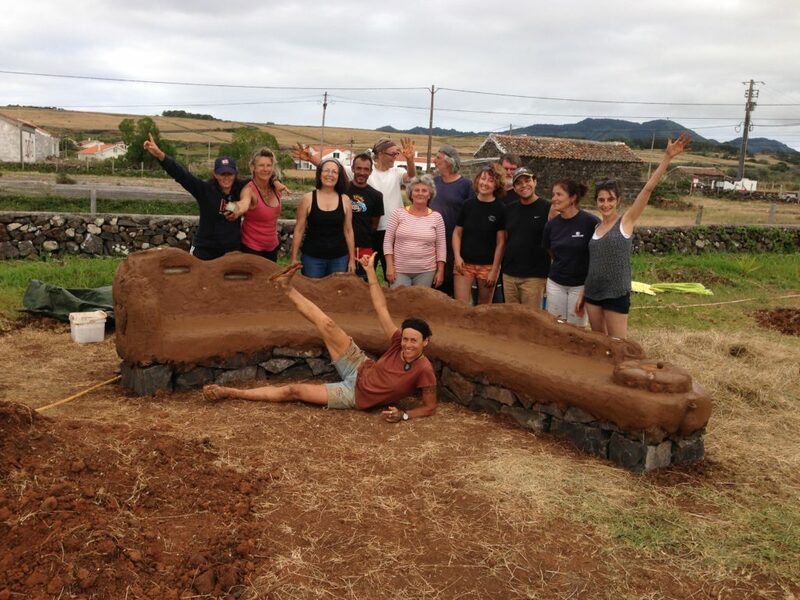 Calháu will never be the same and has begun its road to showing an alternative to the concrete landscape of today. 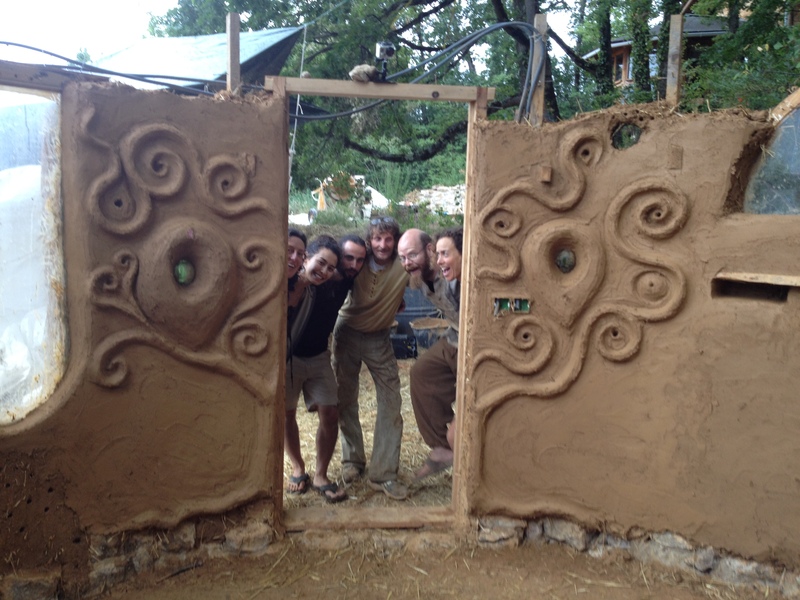 May the cob house speak for itself, silently creating transformation, a sensual kiss on the surface of Mother Earth. Forest Beings Come to Each Village to Give their Medicine! Finally biked into “La Casamance”, the lush breadbasket of Senegal that is separated from the “North” by Gambia and a plethora of cultural differences. Immediately the land welcomes you with its diverse forestry, greener landscape, greater living spaces and new language. Diola is the majority ethnic group in this land of rebels that say “Kassumei” rather than “Nangadeff”. It is more tranquil here, less Muslim, and palm wine is the beverage of choice. Tapped every morning by professional tree climbers who take along plastic water bottles which they hang on the tree after lightly tapping holes to find the fountain of this elixir which I am told brings a myriad of health benefits, akin to coconut water. The taste in the morning is fresh and bubbly and naturally earthily sweet. It has a watery milky appearence and people swig it up as they walk down the path home from the boutique. 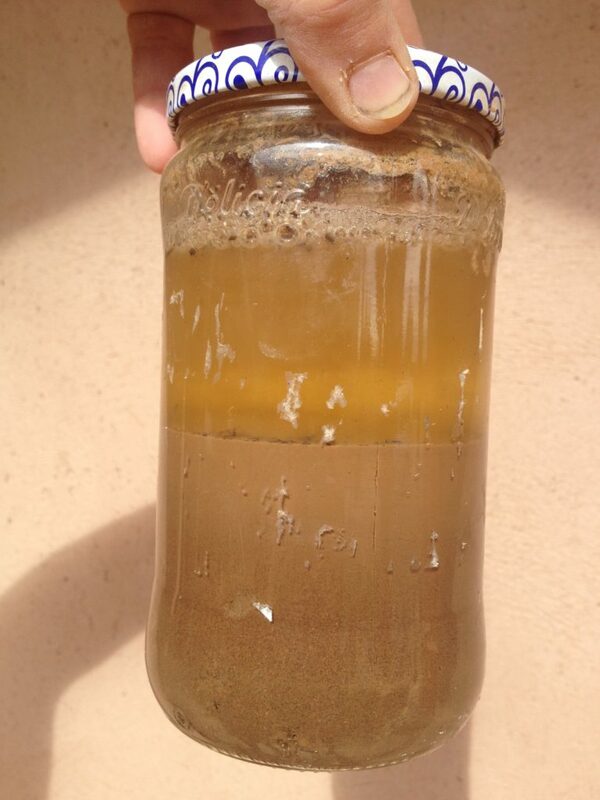 It flows readily most of the year and goes for 250CFA or $.40 a liter. 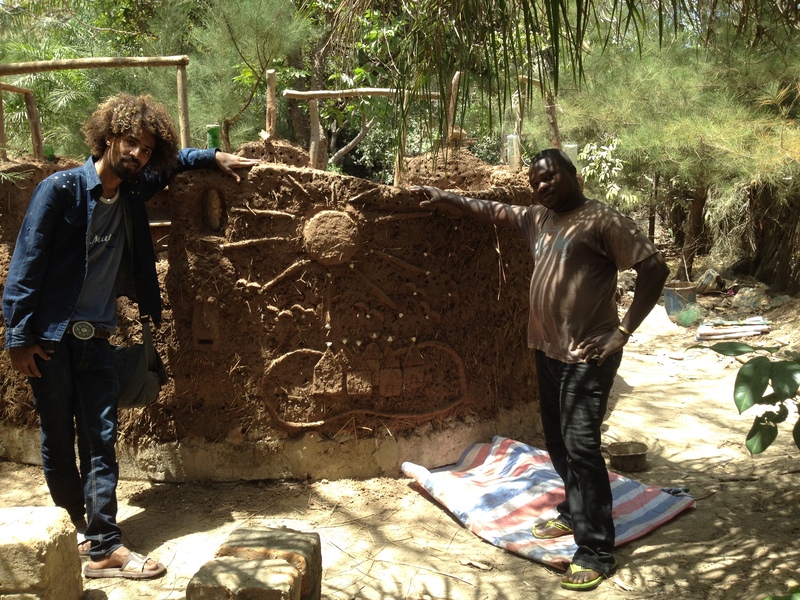 So here I am now in the land of “banko”, the mysterious earthen construction material and technique I have been told about since my arrival in Senegal. Still not quite sure what to expect as it has come in many different descriptions, I think I have finally figured out. “Banko” is the material of termite mounds which is 90% sand and a small sliver of clay in the shake tests I have performed. Nonetheless when they break it down, wet it and form it into 16” long by 6” wide and 8” tall blocks, they are used for construction, cemented together and perhaps traditionally with some kind of earthen mortar. Upon closer interaction and after dousing one with water and scraping it with my nails, I find that it disassembles and disintegrates instantaneously and feels like it’s all sand. Oh my!!! No wonder people don’t want to build with it and give it a terrible rap. In addition they build directly on the ground, in a climate with about 4 months of big rains. Some houses I hear withstand the rains for years under the protection of significant “hats” or rooves. Good for them! Other people add cement to the mix. The smart ones don’t cover the bricks with a cement plaster, others bear the consequences and perhaps learn. I am told that there is a cob-like technique called “poto”, demonstrated to me in hand gestures that look like handfuls of some clay mix are balled up and then added to the wall. The big difference with cob however is the lack of straw in their mixes. 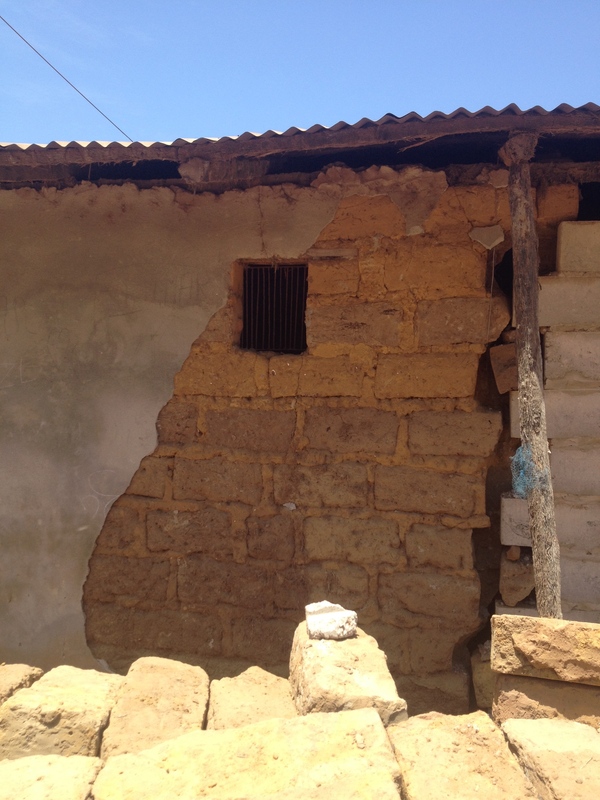 Despite the extensive presence of straw in this part of Senegal, it is not a custom here to put straw into earthen mixes, only on rooves or for fences. I think that is a major weakness I am happy to share. 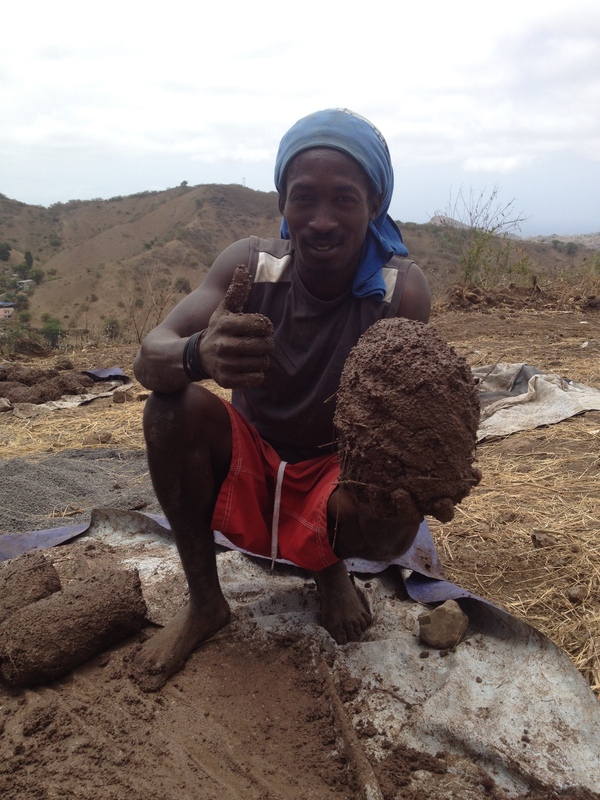 Within a few days of landing here we met Peter Diatta who welcomed us onto his land and set up a spontaneous cob workshop. Peter lives in Monterey part-time with Jenny his American wife and so our Santa Cruz origins were the immediate glue. 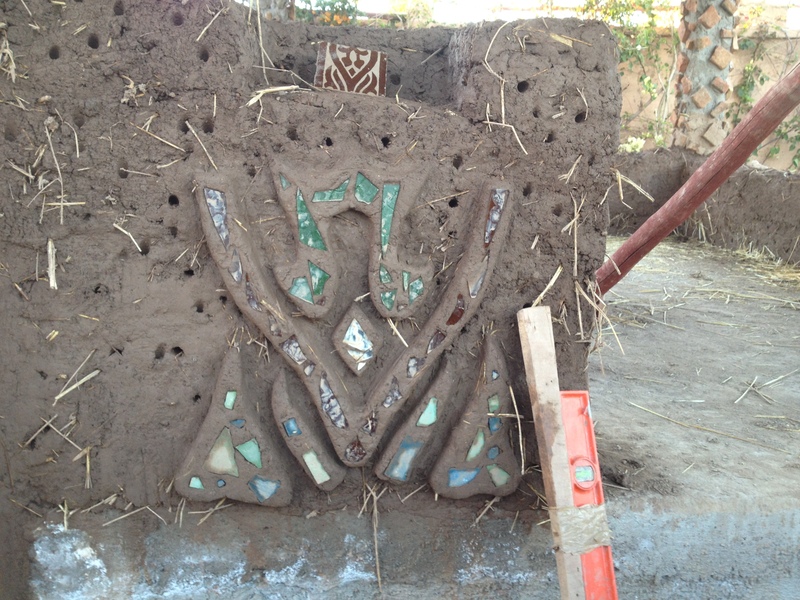 Peter and Jenny (absent and in the US) were delighted to have a California Cob bungalow on their property and within another week we had found the rare clay source, straw and an uncomfortable excuse for coarse sand. There is no such thing here so we decided to use their laterite gravel which cost us our cob bounce but seems to be working. 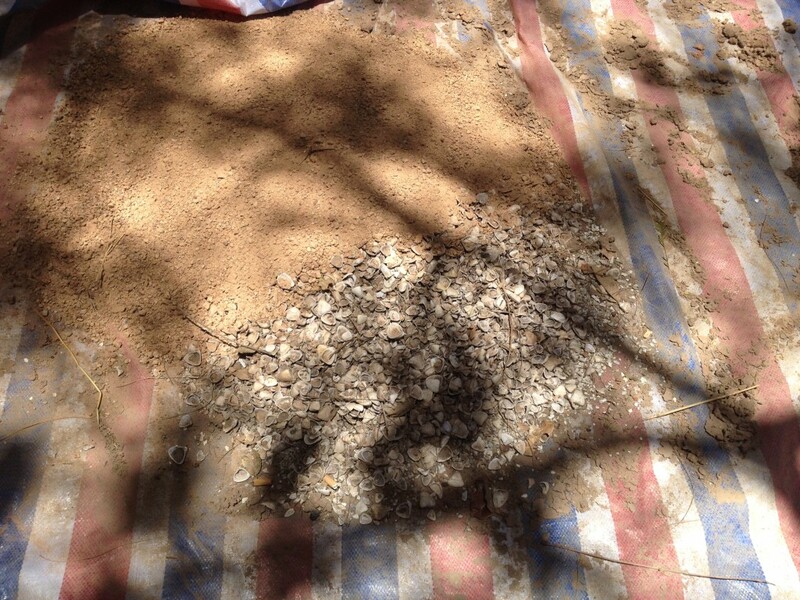 One day we used small shells when we ran out of gravel. They could work too as we have seen them used in making cement blocks on islands where there is no coarse sand or gravel. They are certainly easier on the feet but we would need double the amount to get some real texture into the cob mix. So here we are on Day 3 and 70cm up the wall. We have a small group of avid learners of all ages. 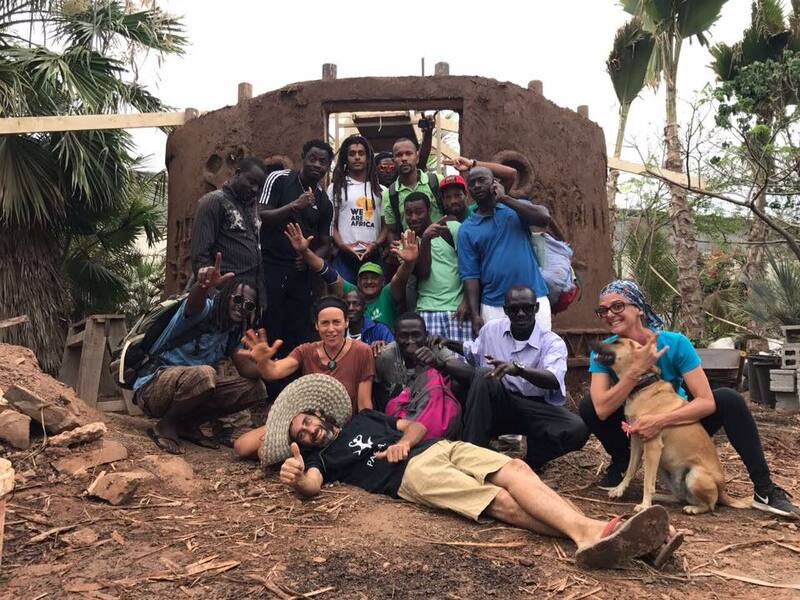 We tried hard to get some more paying students besides Jenny’s sponsorship of Peter and Maimouna, but it is no easy feat to gather people up with a few days’ notice and ask for 175 Euros on top of that…in a land where you can live on $1 a day. Most “Toubabs” here have giant plots of land, cars, an entourage of labor and live a very comfortable life on their “small” pensions. Nonetheless our last minute timing did not work for them. A few definites never showed up. My boys and I gave up trying to meet our minimum fee of 100€ a day and were grateful to have a beautiful cozy place to build our campsite, water and a gas propane tank. A short ten minute walk to an endless beach of warm water, fresh fish daily and afternoons off…the good life! Building a 10m2 structure is a wonderful relief. To complete a building from start to finish with a group of students is still not something I have accomplished, both because most buildings have not been finishable in the workshop timeframe and because I usually let the owners finish the roof and the finishing touches for their own ownership of the building. However I have heard that there is a real desire for that in the student community and so here I hope we can meet the goal for the first time. 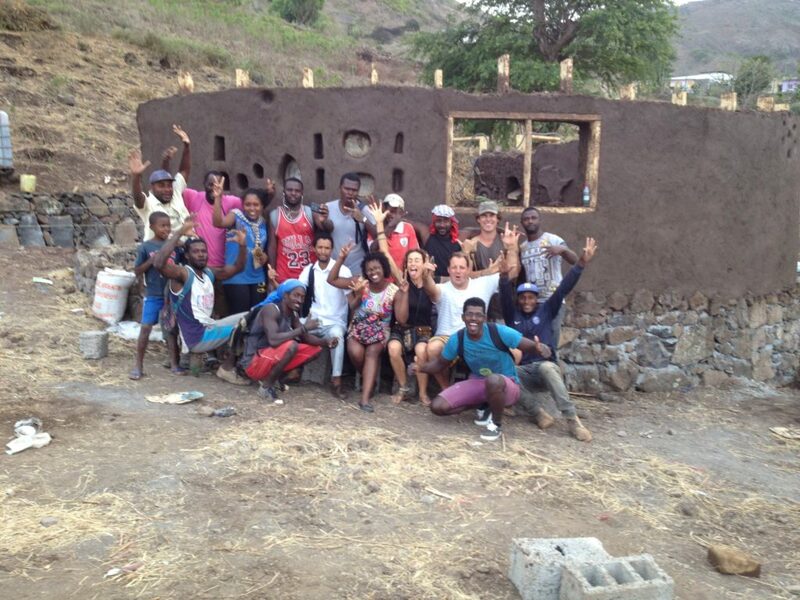 The second time will be in Cabo Verde where we will have two workshops in which I plan to complete the structures with the students. It’s been a good life so far and I feel graced to have two of my boys along for the ride, learning and sharing. We are making very memorable memories…again…on the road. 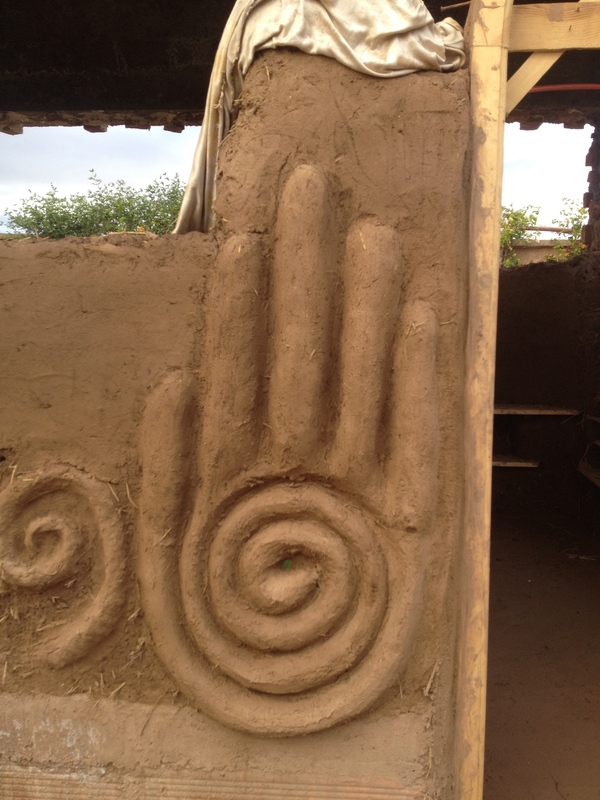 As I map out the rest of the Global Journey I cannot turn my back on even if I feel tired and ready to stop here and there…I am focusing on my hotspots and aiming to set up workshops ahead of arriving with my cob and ecovillage connections on the various continents I have yet to visit. This means completin somewhere in December 2018, a year longer than I had envisaged, after my learning experience of not circling around twice but just moving forward with some good pre-planning using the good old Internet. 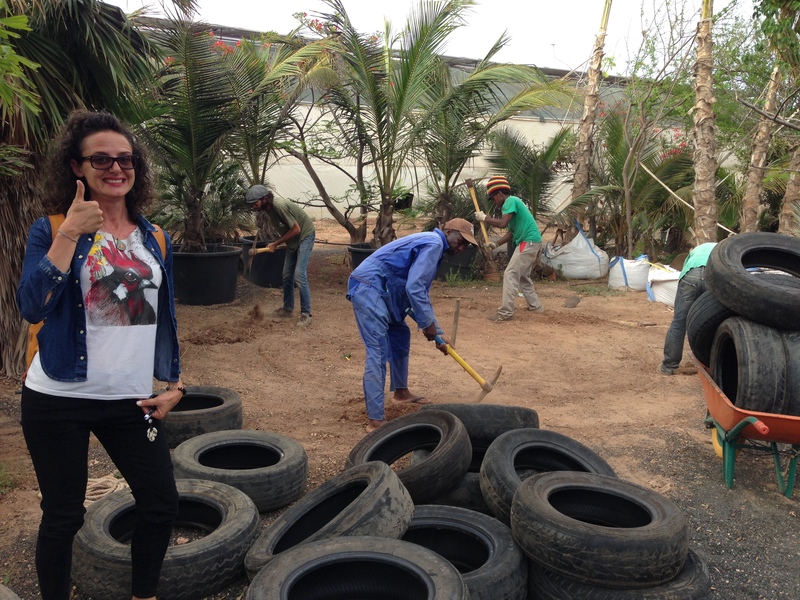 Next stop after Cabo Verde….Cameroon! Bechikanam! A bientôt!